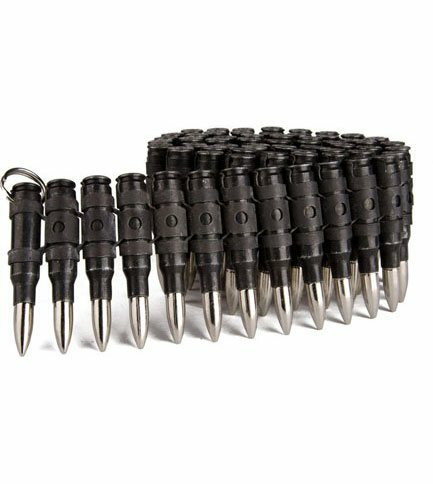 The 308 black bullet belt is a large black bullet with black links and nickel tips. Bullets measure approximately three inches tall. 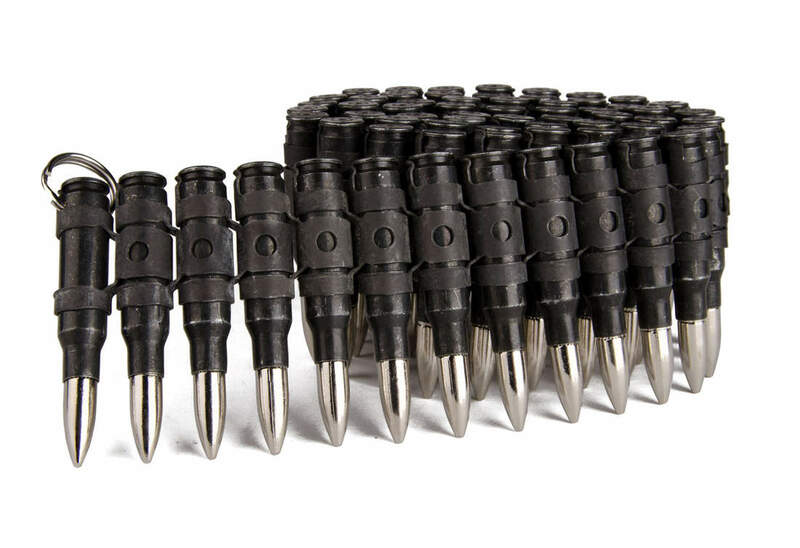 Rounds are inert and have no powder or firing pins. Medium: 38" in length, Large: 42" in length. I am searching for a bullet belt, i saw you guys are from the states, i was curious if it would be a problem to ship it to the Netherlands, due customs. The bullet belts do not have firing pins or gun powder in them and are fashion accessories, so they will safely pass through customs. We have never had a problem with customs detaining any of our bullet belts. Answered by David on Thursday 17 January, 2019.